Offers both undergraduate and graduate programs. FIT offers a foundation in liberal arts in addition to real-world curriculum and hands-on instruction. The school has an international network of alumni as well as strong relations with fashion industry leaders. Prominent alums include: Nina Garcia, Lisa Versacio, and Calvin Klein. Of course the school’s NYC location doesn’t hurt either! FIT is especially proud of the innovative fashion leaders that come out of their program. Parsons is proud of its School of Fashion, which is one of the oldest schools at Parsons. The program boasts many successful alumni, which include American designers Claire McCardell, Adrian, and Norman Norell as well as industry figures Donna Karan, Marc Jacobs, Tom Ford, and Narciso Rodriguez, and international designers Proenza Schouler and Ohne Titel. The goal of the Parsons program is to combine activism with innovation to create a well-rounded program that focuses on all aspects of fashion. SCAD offers fashions majors the choice of accessory design, fashion, fashion marketing and management or luxury and fashion management. It is SCAD’s creative majors and in-depth programs that sets them apart from the crowd when it comes to fashion education. Internships play a prominent role at SCAD and graduates gain significant hands-on experience during the program. The apparel design program at RISD is for you if you love the way clothes express individuality. In addition to technical skills you will learn to use cutting-edge technology to design apparel. Something unique to RISD is the spring runway show, which a jury of professionals in the field attend to select the best student-made apparel. The annual Collection event is a wonderful learning experience for students. Located in Brooklyn, Pratt emphasizes the trans-disciplinary nature of its fashion education. The fashion program is closely allied with film, performance, photography, visual studies, illustration and material culture. Students are encouraged to create an overall vision and show that vision through all aspects of their work. The program stands out because of its interdisciplinary and collaborative classrooms, which allow students to engage in a more creative way. SAIC takes an un-traditional route with its undergraduate fashion design program, offering a three-year curriculum within the four-year degree program. SAIC’s program was created to teach an understanding of the social, political, and technological forces that shape the world around us. SAIC offers three programs within the fashion department: a Bachelor of Fine Arts; a Master of Design in Fashion, Body, and Garment; and a Post-Baccalaureate Certificate in Fashion, Body and Garment. Otis College of Art and Design stands out from other schools because it is a non-profit institution that was founded in 1918 by General Harrison Gray Otis, who also happened to be the founder and publisher of the Los Angeles Times. Otis gave his home to the city for “the advancement of the arts.” The school remained in his home until 1997 when it moved locations to another part of Los Angeles. In the fashion program students work in teams to create clothing for notable mentors in the industry. FIDM has campuses in Los Angeles, San Francisco, Orange County, and San Diego. Described as “industry focused” and “hands-on,” the school is always trying to change along with the ever-evolving world of fashion. Famous alumni include Lauren Conrad, Lubov Azria, Karen Kane and Pamela Skaist-Levy. Lynn University is very proud of the unique experience they provide their students. One unique aspect of Lynn is the student body, which is one of the most international in the country. Lynn is consistently ranked as one of the top schools for the number of students who study abroad. A cool aspect of the fashion program is the “Lynn Project Runway” where students can put their skills to the test in front of industry professionals. There are many more awesome schools for fashion out there! Fashion is an exciting industry that by nature is growing and changing all the time. As a designer, you will have the opportunity to help shape the culture of each generation with the clothes you design. Fashion is much more than what we wear, it is a significant part of our society and, eventually, our history. 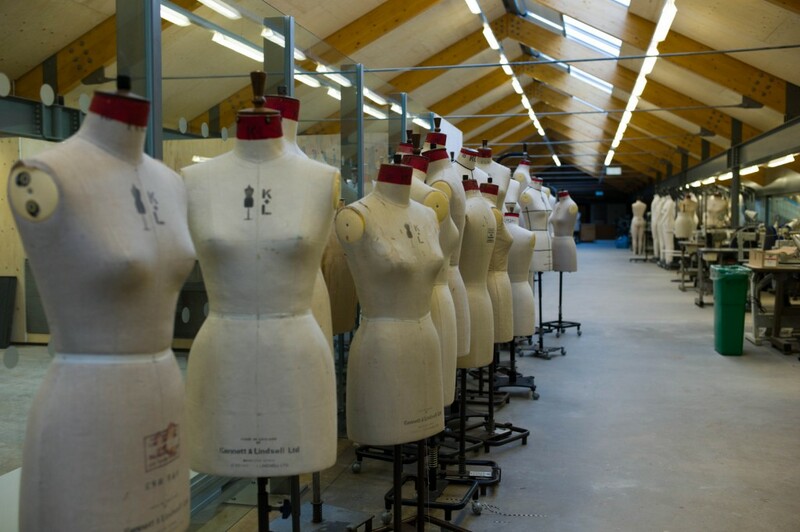 This is a sampling of some of our favorites fashion schools, to get you started on your research. Leave a comment with your opinion on the best schools for a future fashionista. Log on to www.CollegeMapper.com for a full search of which colleges offer these majors.